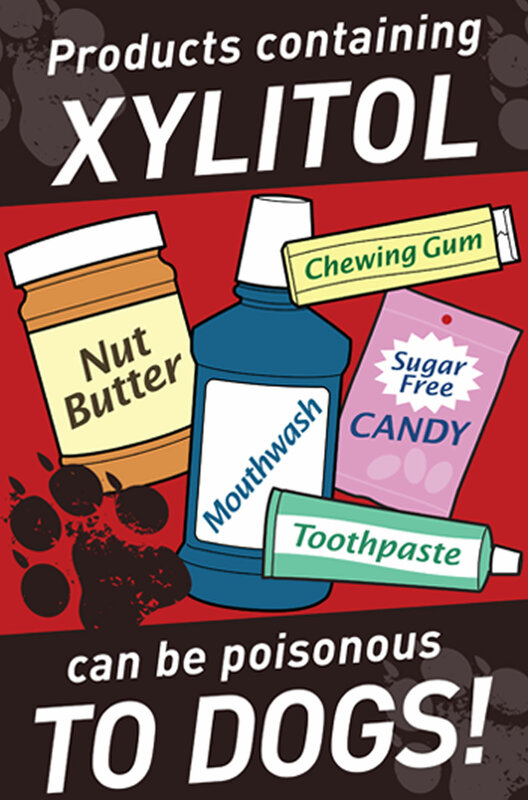 Xylitol is a sugar alcohol, a class of compounds that have been used for decades to sweeten chewing gum, sugar-free candy (such as mints and chocolate bars), fruit spreads, baked goods, breath mints, mouthwash, toothpaste, cough syrup, household sugar alternatives, children’s and adult chewable vitamins and other products. Sugar alcohols are also called “polyols” 1). Pure xylitol is a white crystalline substance that looks and tastes like sugar. And unlike sugar, sugar alcohols like Xylitol does not react with plaque bacteria in your mouth and does not cause tooth cavities. Sugar alcohols are carbohydrates that occur naturally in certain fruits and can also be manufactured. Despite their name, sugar alcohols aren’t sugar and they aren’t alcohol. They are carbohydrates that occur naturally in certain fruits and can also be manufactured. 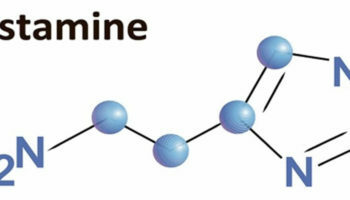 They get their name because they have a chemical structure similar to sugar and to alcohol. Sugar alcohols are now found in many processed foods, including hard candies, ice cream, puddings, baked goods, and chocolate. They may be used in combination with another sugar substitute. Polyols are hydrogenated monosaccharides and include such sugars as sorbitol, mannitol, erythritol, xylitol and D-tagatose as well as the hydrogenated disaccharides isomalt, maltitol, lactitol and trehalose. The polysaccharide derived hydrogenated starch hydrolysates are also included in this category. Polyols are used as sweeteners and bulking agents, and designated generally recognized as safe (GRAS) by the FDA 2). Newer, cheaper ways to make sugar alcohols from corncobs, wood, and other plant materials, along with their sugar-like taste, are fueling their use in a growing array of foods. Sugar alcohols are also called “polyols” 3). Polyols are hydrogenated monosaccharides and include such sugars as sorbitol, mannitol, erythritol, xylitol and D-tagatose as well as the hydrogenated disaccharides isomalt, maltitol, lactitol and trehalose. The polysaccharide derived hydrogenated starch hydrolysates are also included in this category. Polyols are used as sweeteners and bulking agents, and designated generally recognized as safe (GRAS) by the FDA 4). Despite their name, sugar alcohols aren’t sugar and they aren’t alcohol. Sugar alcohols are carbohydrates that chemically have characteristics of both sugars and alcohols. They get their name because they have a chemical structure similar to sugar and to alcohol. However, sugar alcohols do not contain the type of alcohol found in alcoholic beverages 5). Erythritol – 0.2 calories per gram and 60% to 80% as sweet as sugar. Erythritol is a naturally occurring sugar alcohol found in fruit and fermented foods. 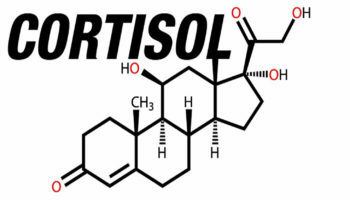 Erythritol does not result in as much of a rise in blood sugar after meals or cause tooth decay. Unlike other sugar alcohols, it does not cause stomach upset. By comparison, there are 4 calories per gram of sugar. Keep in mind that just because a product is “sugar free,” it doesn’t always mean that it’s healthy. Foods and beverages that contain non-nutritive sweeteners can be included in a healthy diet, as long as the calories they save you are not added back by adding more foods as a reward later in the day, adding back calories that take you over your daily limit. The current meta-analysis 6) provides a rigorous evaluation of the scientific evidence on low-calorie sweeteners and body weight and composition. Findings from observational studies showed no association between low-calorie sweeteners intake and body weight or fat mass and a small positive association with body mass index (BMI); however, data from randomised clinical trials, which provide the highest quality of evidence for examining the potentially causal effects of low-calorie sweeteners intake, indicate that substituting low-calorie sweeteners options for their regular-calorie versions results in a modest weight loss and may be a useful dietary tool to improve compliance with weight loss or weight maintenance plans 7). Sugar alcohols are found naturally in small amounts in a variety of fruits and vegetables and are also commercially produced from sugars and starch. Sugar alcohols are one type of reduced-calorie sweetener. You can find them in ice creams, cookies, puddings, candies and chewing gum that is labeled as “sugar-free”, “diabetic”, “low carb”or “no sugar added.” Sugar alcohols provide fewer calories than sugar and have less of an effect on blood glucose (blood sugar) than other carbohydrates. Facts Label to compare the calories and nutrients in the sugar-free version to the regular version of a particular food. These products may still have a significant amount of calories, carbohydrate, and fat. Tip: Ingredients are listed in descending order by weight — the closer they are to the beginning of the list, the more of that ingredient is in the food. Use the Nutrition Facts Label as your tool for monitoring consumption of sugar alcohols. The Nutrition Facts Label on food and beverage packages shows the amount in grams (g) of total carbohydrate and sugars and the Percent Daily Value (%DV) of total carbohydrate in one serving of the food. Foods with low- or reduced-calorie sweeteners like Xylitol can have fewer calories than foods made with sugar and other caloric sweeteners. That can be helpful if you’re trying to lose weight or even to prevent weight gain. These products often times also have less carbohydrate which can be helpful in managing blood glucose levels. However, you need to read the food labels carefully because many of the food products containing these types of sweeteners still have a significant amount of carbohydrate, calories and fat, so never consider them a “free food” without checking the label. By comparing the calories in the sugar-free version to the regular version, you’ll see whether you’re really getting fewer calories. Low-calorie sweeteners are useful for adding extra flavor or sweetness to your food, with few if any extra calories. In addition, these sweeteners are useful for reducing calories and carbohydrates when used instead of sugar in coffee, tea, cereal and on fruit. You can experiment with your own recipes to include low-calorie sweeteners. Sugar alcohols provide a sweet taste with fewer calories per gram than table sugar (sucrose), and are commonly used in place of sugar and often in combination with artificial sweeteners. Sugar alcohols in food add bulk and texture, help retain moisture, and prevent browning that occurs during heating. Unlike sugar, sugar alcohols do not react with plaque bacteria in the mouth. So, they do not cause cavities (also known as “dental caries”). Sugar alcohols are slowly and incompletely absorbed from the small intestine into the blood. As a result, they provide fewer calories per gram than sugar and produce a smaller change in blood glucose (often referred to as blood sugar) than other carbohydrates. Polyols (sugar alcohols like Xylitol) are only partially absorbed from the small intestine, allowing for the claim of reduced energy per gram. Polyols contain, on average, 2 kcals/gm, or 1/2 the calories of other nutritive sweeteners. Studies of subjects with and without diabetes have shown that sugar alcohols cause less of a postprandial glucose response than sucrose or glucose 9). However, polyols can cause diarrhea at ≥20 gms especially in children. Although a diet high in polyols could reduce overall energy intake or provide long-term improvement in glucose control in diabetes, such studies have yet to be done 10). Sugar alcohols like Xylitol (when consumed in large amounts) can cause abdominal pain, gas/bloating and diarrhea as common side effects. Other gastric symptoms may also occur in some people, especially in children. Xylitol when consumed in water, 35 grams and 50 grams xylitol was associated with significant gastrointestinal symptoms when compared with 45 grams sucrose (table sugar). Consumption of a single oral, bolus dose of 50 g xylitol in water significantly increased the number of subjects reporting nausea, bloating, borborygmi (a rumbling or gurgling noise made by the movement of fluid and gas in the intestines), colic (severe pain in the abdomen), watery faeces (diarrhea) and total bowel movement frequency. Also 35 grams of xylitol increased significantly bowel movement frequency to pass watery faeces (diarrhea), compared to the sucrose control 11). Xylitol like all the Polyols (sugar alcohols) are used as sweeteners and bulking agents, and designated generally recognized as safe (GRAS) by the FDA 12). On a study of Xylitol toxicity 13 healthy children, aged seven to 16 years was investigated. Xylitol was administered as a supplement in addition to the children’s regular diet. The daily dose was increased during successive 10-day periods from 10 to 25, 45, 65 and 80 grams. Gastrointestinal symptoms (flatulence, occasional abdominal pain and diarrhea) were recorded daily throughout the study. Prior to xylitol supplementation and after 20-50 days of dietary supplement serum uric acid and total cholesterol were measured. Flatulence was the most common side effect occurring relatively infrequently in almost every other subject during the 45 g/day intake, and in most subjects with greater frequency at the 80 g/day intake. Transient diarrhea occurred in four children on 65 g xylitol/day and in one child at 80 g/day. After 50 days of xylitol consumption, there was an increase in serum uric acid and cholesterol. However, the values were within the normal ranges for children 13). A study on the tolerance of xylitol involving 18 male and one female non-diabetic students aged 21-27 years, where the students were given xylitol for 21 days in increasing dose levels from five up to a maximum of 75 g/day. After one month of interruption the same group received xylitol in increasing dose levels from 40 g up to 220 g again during 21 days (19 students received during the first week 40-100 g/day, 18 during the second week 100-150 g, and six during the third week 150-220 g). The subjects themselves recorded quantity, daily division of xylitol intake, number and consistency of bowel movements as well as general condition and obvious side effects. Body weights were estimated weekly. At the third day of each experimental period and seven days after termination, fasting blood sugar analyses and urinalyses on presence of reducing sugar were carried out. From a 130 g/day dose level diarrhea was observed when the single doses were poorly distributed over the day. No other significant effects were noticed. In a similar study 23 men and three women were given xylitol or sorbitol. The initial dose was 5 g which was increased to 75 g/day after 14 days. In addition to the parameters investigated in the first experiment, xylitol and glucose analyses in 24 hour urine were carried out. Identically to the first experiment diarrhea was the only effect observed 14). In a two year tolerance study, three groups of 125 volunteers remained on strict diet containing respectively, fructose, sucrose and xylitol. The highest daily doses of fructose and xylitol were 200-400 g. Serum samples were analyzed for sodium, potassium, calcium, magnesium, inorganic phosphates, ascorbate, bilirubin, amylase, alkaline phosphatase, amino-acids, immunoglobulin A, immunoglobulin G and immunoglobulin M. In addition saliva analyses of immunoglobulin A, immunoglobulin G and immunoglobulin M and amylase were carried out. The number of occurrences of diarrhea and flatulence-like conditions were also scored. Body weights of the volunteers were recorded weekly. The numbers of pregnancies in the groups were as follows; eight in the sucrose, six in the fructose and eight in the xylitol group. No significant changes of clinico-chemical parameters in serum and saliva were observed in the xylitol group. A significant rise in the occurrence of diarrhea and flatulence-like conditions was noted in the xylitol group. All pregnancies, deliveries and infants were normal 15). In both people and dogs, the level of blood sugar is controlled by the release of insulin from the pancreas. In people, xylitol does not stimulate the release of insulin from the pancreas. However, it’s different in canines: When dogs eat something containing xylitol, the xylitol is more quickly absorbed into the bloodstream, and may result in a potent release of insulin from the pancreas 16). This rapid release of insulin may result in a rapid and profound decrease in the level of blood sugar (hypoglycemia), an effect that can occur within 10 to 60 minutes of eating the xylitol. Untreated, this hypoglycemia can quickly be life-threatening 17). Over the past several years, the Center for Veterinary Medicine at the U.S. Food and Drug Administration (FDA) has received several reports—many of which pertained to chewing gum—of dogs being poisoned by xylitol 18). Symptoms of xylitol poisoning in dogs include vomiting, followed by symptoms associated with the sudden lowering of your dog’s blood sugar, such as decreased activity, weakness, staggering, incoordination, collapse and seizures. If you think your dog has eaten xylitol, take him to your vet or an emergency animal hospital immediately. Tooth cavities (dental caries) are decayed areas in the teeth, the result of a process that gradually dissolves a tooth’s hard outer surface (enamel) and progresses toward the interior. Dental caries is a diet-associated disease which continues to be a serious health problem in most industrialized and developing countries. Although all carbohydrates can cause tooth decay to some degree, the biggest culprits are sugars. All simple sugars, including table sugar (sucrose) and the sugars in honey (levulose and dextrose), fruit (fructose), and milk (lactose), have the same effect on the teeth. Whenever sugar comes in contact with plaque, Streptococcus mutans bacteria in the plaque produce acid. The amount of sugar eaten is of little consequence. The amount of time the sugar stays in contact with the teeth is what matters. Thus, sipping a sugary soft drink over an hour is more damaging than eating a candy bar in 5 minutes, even though the candy bar may contain more sugar. Infants who go to bed with a bottle, even if it contains only milk or formula, are also at risk of cavities. Bedtime bottles should contain only water. For tooth decay to develop, a tooth must be susceptible, acid-producing bacteria must be present, and nutrients (such as sugar) must be available for the bacteria to thrive and produce acid. A susceptible tooth has relatively little protective fluoride incorporated into the enamel or has pronounced pits, grooves, or cracks (fissures) that retain plaque. Poor oral hygiene that allows plaque and tartar to accumulate can accelerate this process. Although the mouth contains large numbers of bacteria, only certain types generate acid, which causes decay. The most common decay-causing bacteria are Streptococcus mutans 20). Bacteria and debris build up on tooth surfaces, and the bacteria produce acids that cause decay. Tooth pain occurs after decay reaches the inside of the tooth. Dentists can detect cavities by examining the teeth and taking x-rays periodically. Good oral hygiene and regular dental care plus a healthy diet can help prevent cavities. Fluoride treatments can help cavities in the enamel heal, but for deeper cavities, dentists must drill out the decay and fill the resulting space. Plaque: Plaque is a filmlike substance composed of bacteria, saliva, food debris, and dead cells that is continually being deposited on teeth. Tartar: Tartar, also scientifically known as calculus, is hardened plaque. It may be white but is more often yellow and forms at the base of teeth. The nutrients that decay-causing bacteria need come from the person’s diet. Large amounts of sugar in the diet also provide food for the bacteria. Acid in the diet (for example, in cola beverages, which contain phosphoric acid) accelerates tooth decay. Smooth surface decay, the most preventable and reversible type, grows the slowest. In smooth surface decay, a cavity begins as a white spot where bacteria dissolve the calcium of the enamel. Smooth surface decay between the permanent teeth usually begins between the ages of 20 and 30. Pit and fissure decay, which usually starts during the teen years in the permanent teeth, forms in the narrow grooves on the chewing surface and on the cheek side of the back teeth. Decay at these locations progresses rapidly. Many people cannot adequately clean these cavity-prone areas because the grooves are narrower than the bristles of a toothbrush. Root decay begins on the root surface covering (cementum) that has been exposed by receding gums, usually in people past middle age. This type of decay often results from difficulty cleaning the root areas, a lack of adequate saliva flow, a diet high in sugar, or a combination of these factors. Root decay can be the most difficult type of tooth decay to prevent and treat. Strategies to maximize caries prevention should automatically consider the use of sugar substitutes. Clinical studies have shown that xylitol, a natural, physiologic sugar alcohol of the pentitol type, can be used as a safe and effective caries-limiting sweetener 21). Habitual use of xylitol-containing food and oral hygiene adjuvants has been shown to reduce the growth of dental plaque, to interfere with the growth of caries-associated bacteria, to decrease the incidence of dental caries, and to be associated with remineralization of caries lesions 22). And studies have also shown the effect of Xylitol or Sorbitol or the combination of the two as sugar substitutes consistently decrease dental caries (tooth decay or cavities), ranging from 30 to 60 percent, among children compared to children not using Xylitol or Sorbitol in a control group 23). These dental caries rate reductions were observed in subjects using xylitol or sorbitol as the sugar substitute in chewing gum or toothpaste. The highest tooth decay or cavities reductions were observed in subjects using xylitol. These findings suggest that the replacement of sugar with sorbitol and xylitol may significantly decrease the incidence of dental caries 24). In this pilot study, Xylitol in water has been used as sinonasal irrigation in the short term treatment of chronic rhinosinusitis (inflammation of the paranasal sinuses and nasal cavity) and this pilot study showed xylitol irrigations result in greater improvement of symptoms of chronic rhinosinusitis as compared to saline irrigation 25). Recent Cochrane Review showed a “fair evidence that the prophylactic administration of xylitol among healthy children up to 12 years of age attending day care centres reduces the occurrence of acute otitis media (middle ear infection) by 25% 26). However, the review authors also added that the data arise from a small number of studies, mainly from the same research group, which may not be applicable in a wider community and in a larger group. 14. ↵ WHO/FAO: Expert Committee on Food Additives. Summary of Toxicological Data of Certain Food Additives Series 12: Xylitol (87-99-0) (1977).